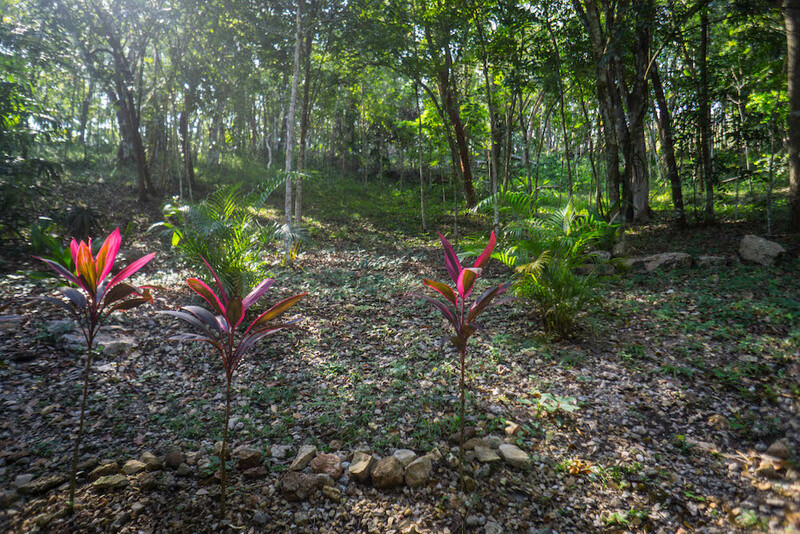 Off a dusty road a few miles out of the town of San Ignacio, Belize, you’ll find Table Rock Jungle Lodge. 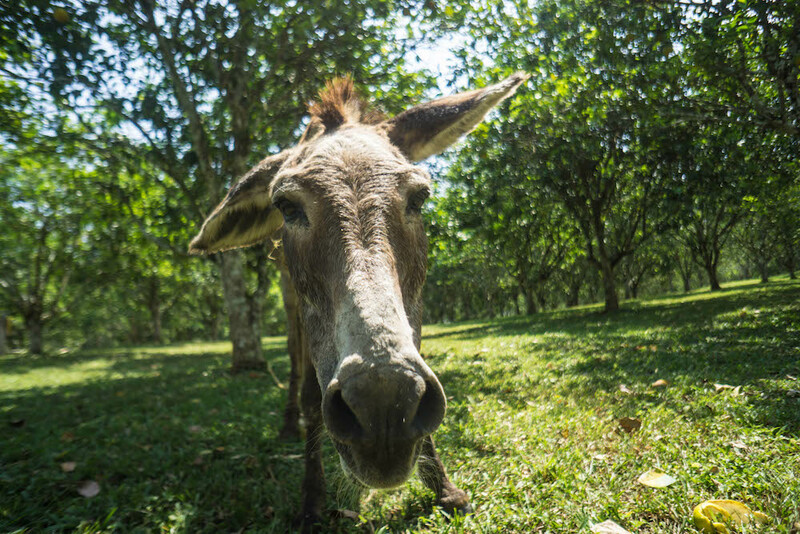 This is this nature-loving girl’s kind of place: orchards packed with ripe oranges greet you as you approach the lodge, with a few donkeys strewn about nibbling the grass in the sun to add to the pastoral charm. 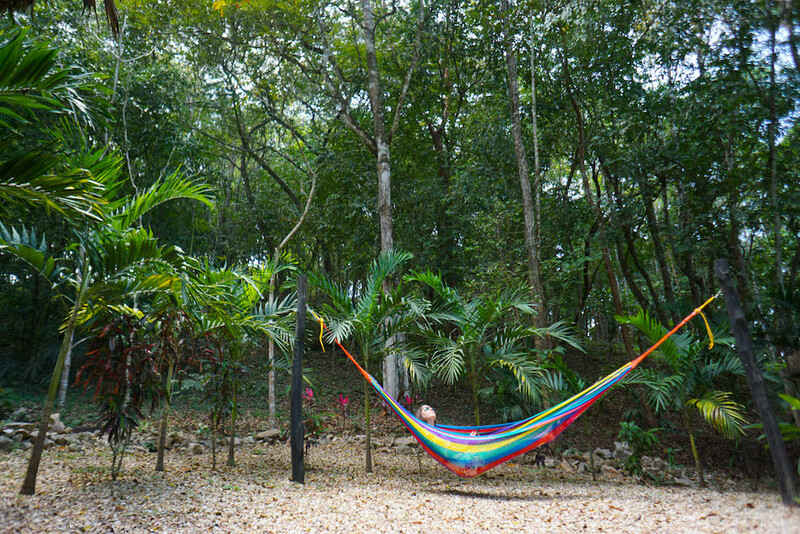 Cabañas are nestled unobtrusively between the trees, each with their own hammock and hanging lounge chairs. 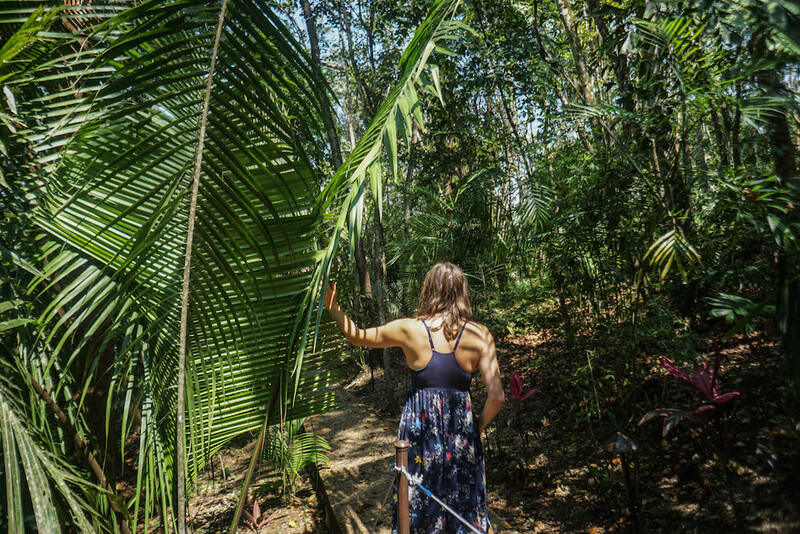 The only sounds are the birds — and the occasional unearthly sounds of the howler monkeys who call this jungle home, too. 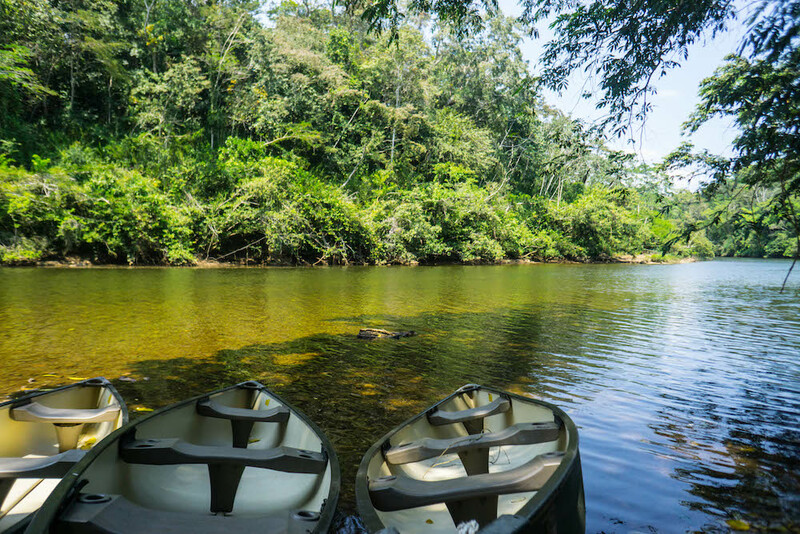 A short walk away is the river, where you can borrow a free canoe or tube and enjoy the persistent Belizean sunshine. 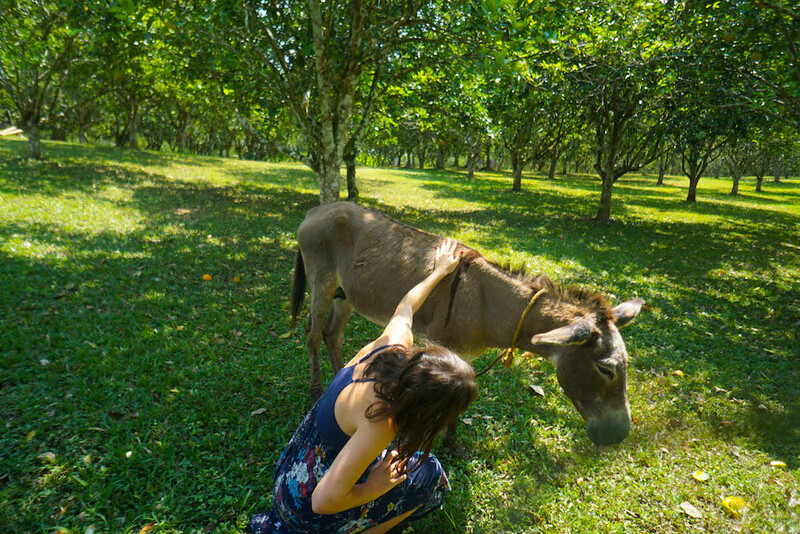 Also, have I mentioned there are pet donkeys? 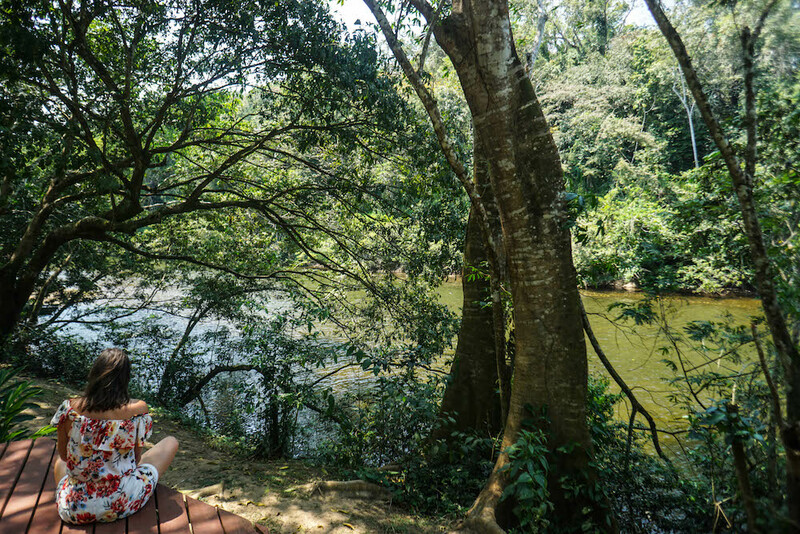 Table Rock Jungle Lodge is comfortable, but not fussy. Their commitment to eco-friendliness and sustainability presides over all. You won’t find air conditioning, hair dryers, and robes here. What you will find, however, is a thoughtfully designed room with high ceilings that keep the rooms breezy and cool, with high-efficiency ceiling fans helping to keep air flowing. 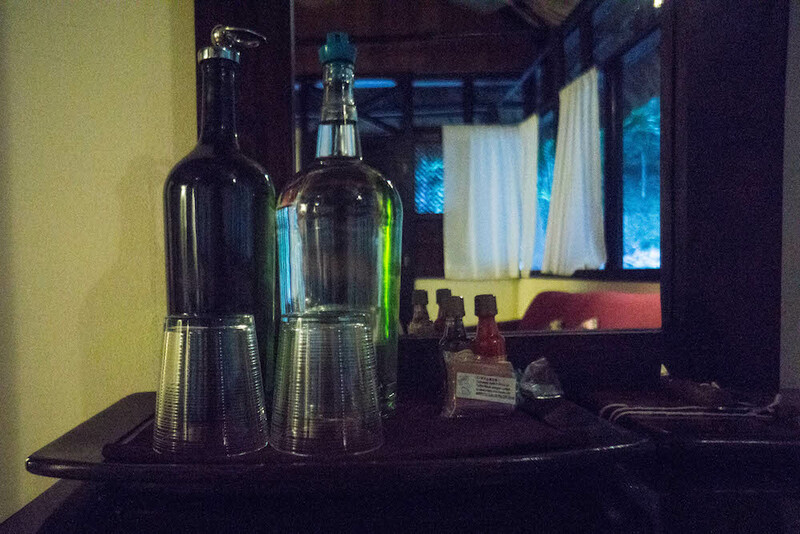 A comfortable four poster bed with soft sheets, a couch and table to lounge at, filtered water available in two giant glass jugs and a few Belizean welcome gifts — locally made cinnamon soap, hot sauce, and a mini bottle of rum. 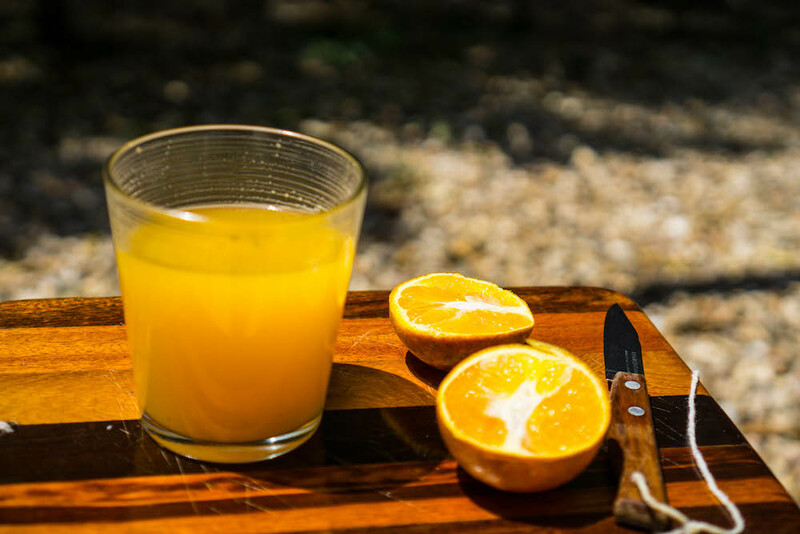 The latter two which I, in peak genius, turned into a killer cocktail with some of the oranges on the property (a knife and cutting board is provided in each room to encourage you to pick fruit from the farm at your leisure). 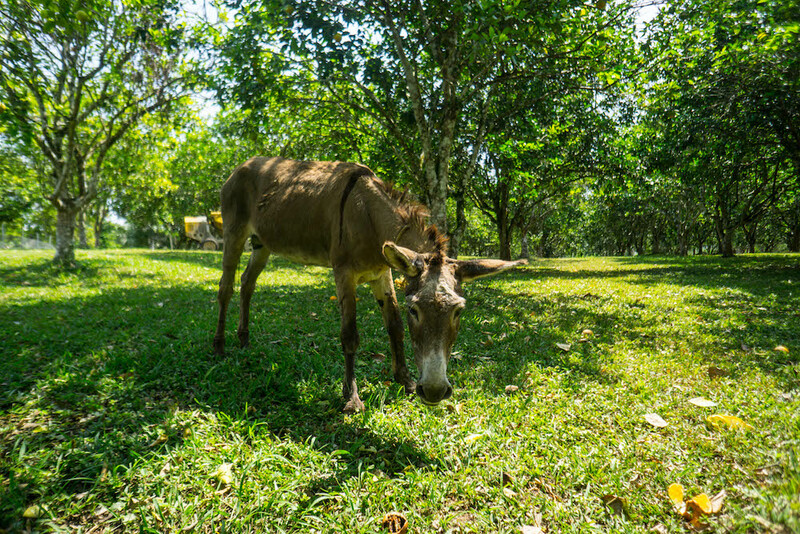 Welcome to the simple life in Belize. I met with Colleen, the lovely woman who owns Table Rock, and chatted with her about the sustainability practices of her eco lodge. After marveling at our similar career paths before opting for a life on the lam (we were both once special education teachers back in the U.S.), I learned about Table Rock’s 100-plus riverside acres powered by their impressive innovative electrical grid — a project many years in the making. Nearly 100% of the energy used in the lodge is provided by renewable solar energy, which is gathered during the day and stored in battery cells for days with a little less sunlight. 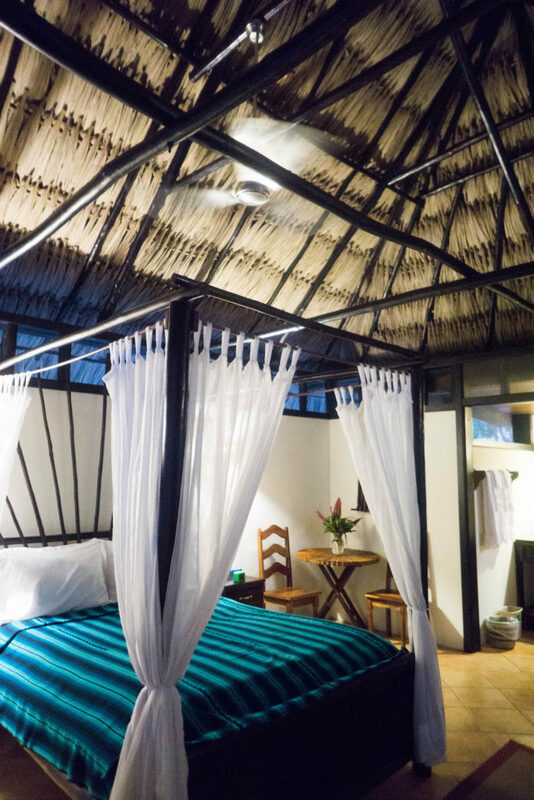 To keep the energy use down, the rooms don’t have air conditioning (nor do they need it, thanks to the high thatched-roof designs and ceiling fans which circulate the air). They also don’t have regular power outlets in the room: only USBs. 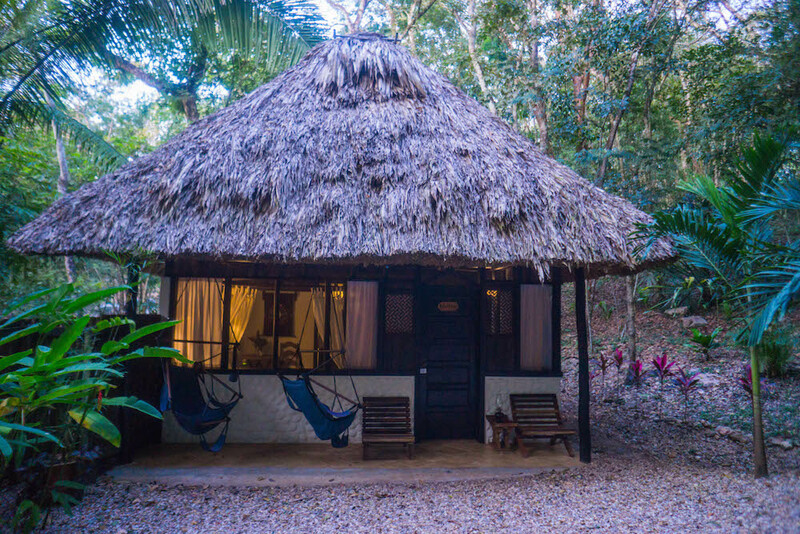 Power outlets and wifi are available in the hammocked palapa, where you can fiddle away on your devices if you really need to (like this blogger/admitted Internet addict does). High-energy tasks, such as running the laundry, do require supplemental power in the form of diesel generators. The hot water showers use on-demand water pressure-activated butane power to heat, which is a far more efficient set-up than traditional water heaters. Other than that, Table Rock is virtually completely powered by the sun and completely self-sustaining. 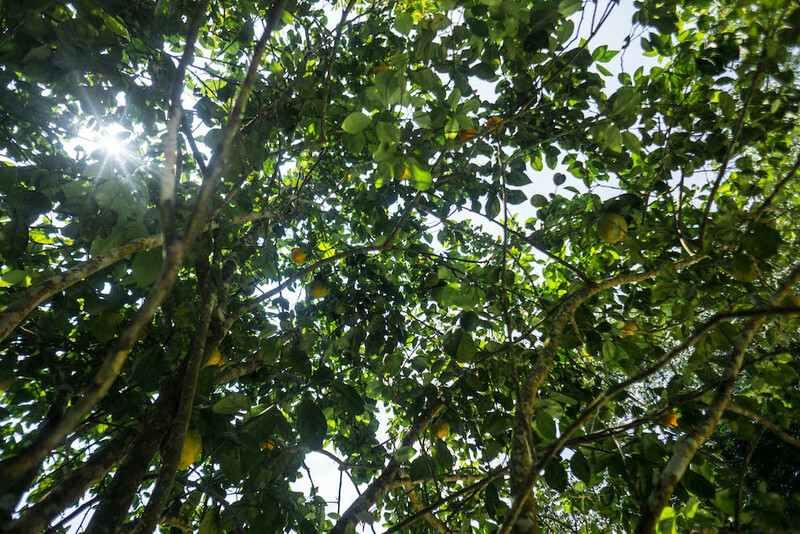 In the spirit of self-sufficiency, Table Rock Jungle Lodge also supplies the majority of their tap water from collected rain water, uses fresh fruit and vegetables from their farm (you’re always welcome to collect any fruit anywhere on the property — I made myself fresh squeezed orange juice every day! ), and fresh free-range eggs from their chickens. In addition to being eco-friendly, Table Rock also is making a concerted effort to be “socially green,” as Colleen put it. 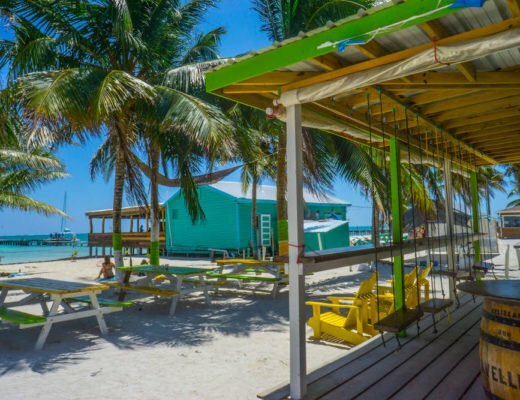 The staff is entirely Belizean and often local from the nearest villages, like nearby Cristo Rey. 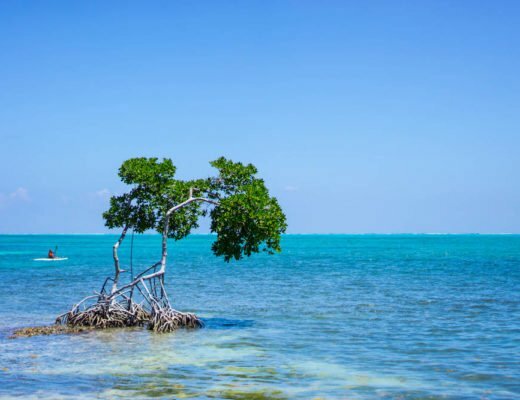 The goods in the gift shop are 100% Belizean and local, and Table Rock purchases locally produced food, beverages, and supplies whenever possible. As a result, the food is especially delicious, and fairly priced for the quality. If you don’t have a car, you’ll have to eat your meals at Table Rock unless you’re doing a tour. 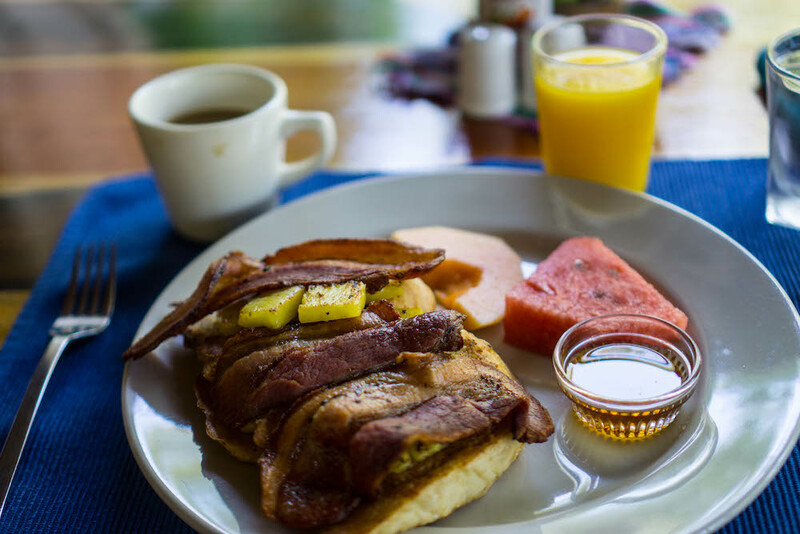 Luckily, I didn’t mind — at $10 for breakfast and coffee and $25 for a two-course gourmet dinner, I found it exceptionally reasonable, particularly for Belize. I especially was grateful that they honored my bananaphobia and subbed out grilled pineapple for the grilled banana on my bacon-topped French toast! 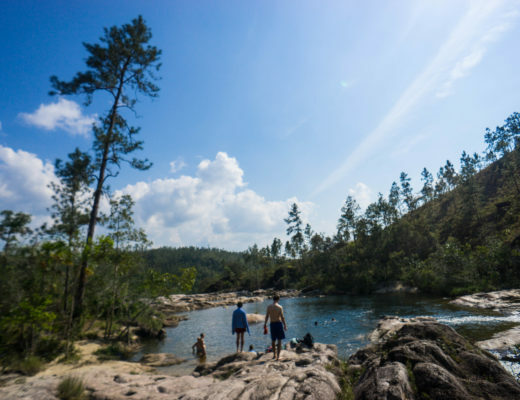 Table Rock also contributes to Pack for a Purpose, an organization that encourages travelers to use a small amount of their suitcase to bring items specifically requested by the local community. Table Rock collects educational supplies for the village school, working in partnership with the school to understand their specific needs rather than deciding on behalf of the school what is needed. 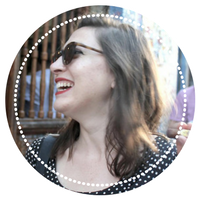 Sometimes despite best intentions, “voluntourists” can do more harm than good, giving items of little use or things that seem benign (like gum or candy) but can actually be socially or environmentally harmful. Therefore these projects like Pack for a Purpose are extremely useful for local communities and a great way to travel more responsibly in developing countries. I’ve written an entire Belize packing list but if you just want the essentials, here’s what I think are the absolute essentials. What do you think? 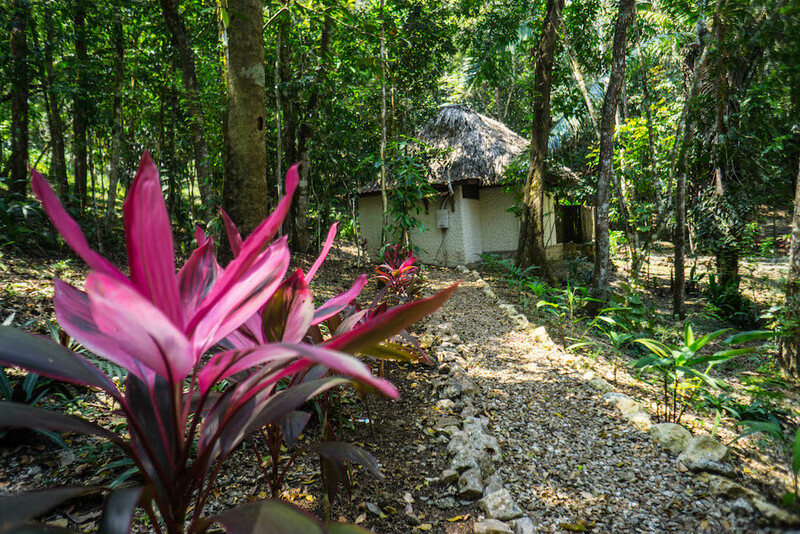 Can you forgo your hair dryer and in-room wifi for a few days of off-the-grid sustainability? Or do you like your creature comforts when you travel? Note: I was a guest of Table Rock Jungle Lodge, and they provided me with two nights’ complimentary accommodation in order to review the hotel. All opinions are strictly my own.